At last! I have entered the blogo-sphere! The first blog I started checking consistently was http://www.planetary.org/blogs/emily-lakdawalla/. 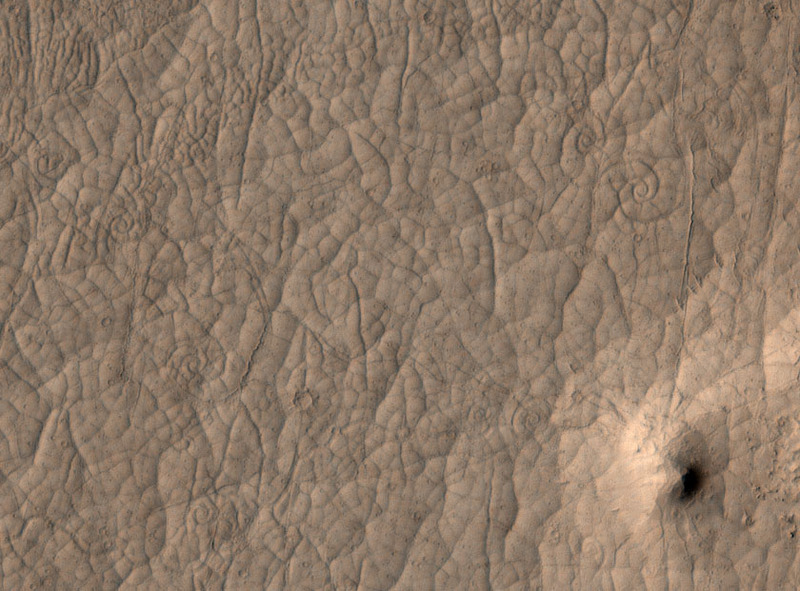 Did anyone see her post about some lava swirls on Mars that HiRISE captured? Anyhow, I work at the SETI Institute as a research assistant with Cynthia Phillips. We make elevation maps of the moons of Saturn. We study their surface, including craters and tectonic features, to try and understand their internal structure. Currently we’re focused on the moons Dione and Rhea. I consider myself a “pre-doc”. I finished my undergraduate at UC Santa Cruz (any other banana slugs out there?) in 2009, and have been working at SETI going on 2 years. I’ll soon be off to study Planetary Science at Brown University. I’m pretty pumped about it. As someone about to enter grad school, I’m really excited to learn more about other parts of astronomy and planetary science. Most of what I know is about icy satellites and impact craters. I’ll use this blog to share some of the most interesting parts of my job, and I look forward to learning a thing or two from my fellow bloggers. In post to come I’ll talk a little bit about FameLab, an astrobiology competition I competed in, as well as a Saturday spent at the California Academy of Science with Jill Tater. I heard about these coils for the first time yesterday. There’s now a tiny Wikipedia page on them, with a picture of one in Hawaii. Very cool!